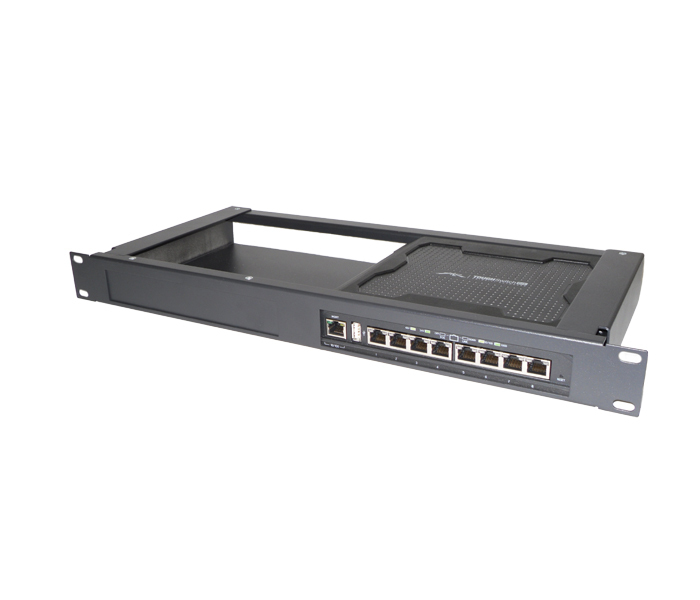 Easily Rack Mount your Ubiquiti ToughSwitch 8-Port with Waveguard’s new rackmount. Designed to hold one or two TS-8-PRO in a 1U rack mount case. Blank plate is included for one TS-8-PRO installs. Steel construction, black powder coated and non-branded makes this a professional and clean look. 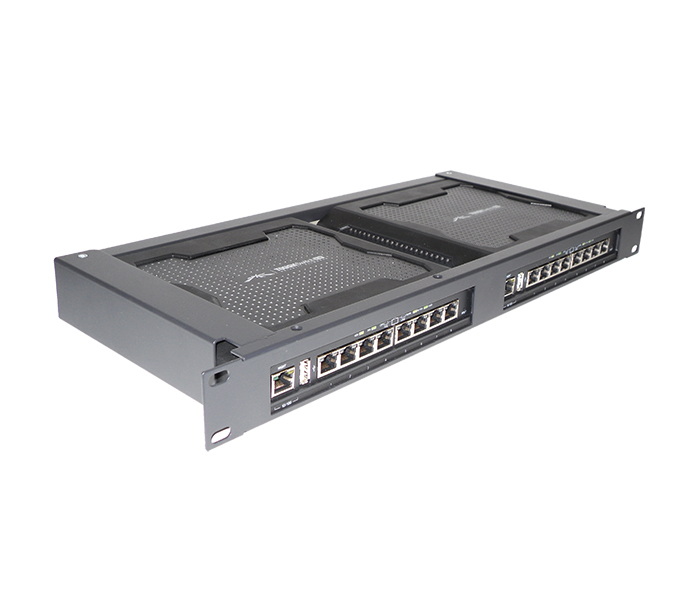 In additional, Waveguard has designed adpater plates to incorperate into this rackmount with ease and simplicity. The TS8-AVA-Adapter is designed to hold Ubiquiti’s AirVision NVR (AirVision-C). 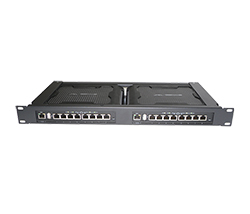 The TS8-RM-Adapter is designed to hold Ubiquiti’s ToughSwitch TS-5-POE, EdgeRouter ERLite-3 and ERpoe-5. With these adpater plates you can create any combition of these devices. Need a rackmount with a TS-8-PRO with a ERLite-3? Done! Ubiquiti AirVision-C NVR with a ToughSwitch? Done!